Here’s one you haven’t seen before. 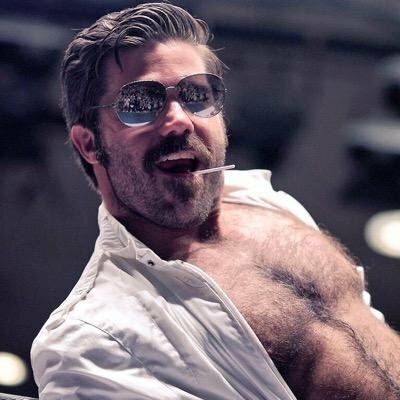 Joey Ryan is an American wrestler who is currently performing over in Japan. His M.O. is “Bringing sleazy back,” and the backstory behind this bizarre wrestling clip is almost as crazy as the clip itself. Joey Ryan’s opponent is Danshoku Dino, a very flamboyant Japanese wrestler who is known for grabbing his opponents below the belt and making them whimper in pain. In an interview with Vice, it was revealed that what happened when Dino grabbed Joey Ryan’s junk was 100% Dino’s idea. 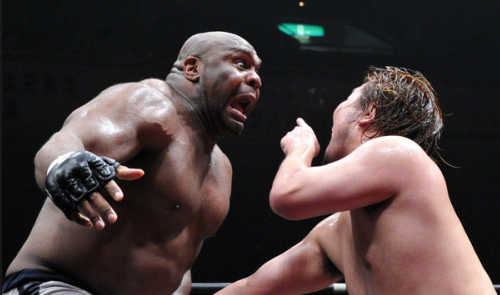 He’s even used it on Bob Sapp. Okay then. So when these two guys got in the ring together, the plan was for Dino to grab Ryan’s package, but to be completely destroyed by the power of it. And that’s exactly what happens. He uses his dong to flip the other guy over. This is really weird, even by pro wrestling in Japan standards.